A historic documentary about the hidden stories of Dry Stone Walling in Derbyshire. With the cooperation of National Drystone Walling Association of Great Britain especially Derbyshire Branch members, National Stone Centre, Wirksworth Eco Centre and together with highly able, dedicated and same-minded team, I am now ready to promote the showing of the documentary. 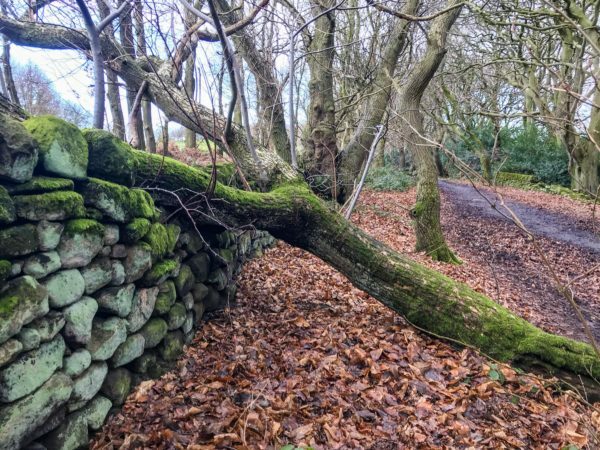 “If Walls Could Talk” tells the stories of dry stone walls in Derbyshire: how, why and where they were built and exploring how these walls can communicate factually the quirky tales of what are hidden inside and beyond. This Derbyshire documentary is highly visual, letting the the story and history of dry stone walls unfold using drone footage and steady camera work which also showcases the beautiful imagery of Derbyshire Peaks and Dales landscapes. How the film is promoted ultimately gets decided by the Derbyshire branch, all I can give you is my viewpoint. When I was at University a few years ago, I set up a production company “Lost Histories” to encourage and promote an appreciation and understanding of forgotten or overlooked tradition, heritage, craft and culture brought to life through the power of short films, researched through different channels and shot in a quirky and realist way. The idea of making a film about dry stone walling was first conceived about 3 years ago and was always put on the back burner for other projects to come forward. It has stemmed from love of walking in the peaks and dales in Derbyshire where I see miles and miles of dry stone walls and I often wondered what are their stories: who had built them, where did the stone come from, why were they built and so on. I wanted to tell a story from a wall’s point of view, not from books I had read or actors who spent a day walling. I wanted the film to be authentic so I came along to a DSWA Derbyshire Branch meeting where I presented my ideas and “If Walls Could Talk” was born. These goals were accomplished in the film by using guided questions in the interviews with the wallers whose knowledge, passion, pride and the love of their job come through together with strategically capturing the captivating Derbyshire landscape. My vision in 4 – 6 months? In 4-6 months, I would like to hire a venue such as “Quad” or Guild Hall Theatre in Derby or similar venue for a week long dry stone walling fair and exhibition where the documentary will be shown on a constant loop for members of the public to watch and visit free of charge (donations will be welcome). This is most ideal for schools and colleges to bring their students to learn about dry stone walling. With the cooperation of DSWA members, dry stone walling demonstrations and talks taking place in the exhibition space will make dry stone walling very tangible to the public. This could be achieved by having different teams of dry stone wallers come in different times of the day. I also aim to have the documentary sent in to documentary film festivals around the world, sell the dvd at different tourist and heritage sites around Derbyshire and via the website. How do I accomplish this vision? This vision is very costly and funding would need to be found from somewhere such as grant organisations, local businesses and fundraisers. It is my intention to show the film in as many venues and areas to share the overlooked stories of dry stone walls, to entertain and educate the audience and promote the beautiful landscape of Derbyshire. 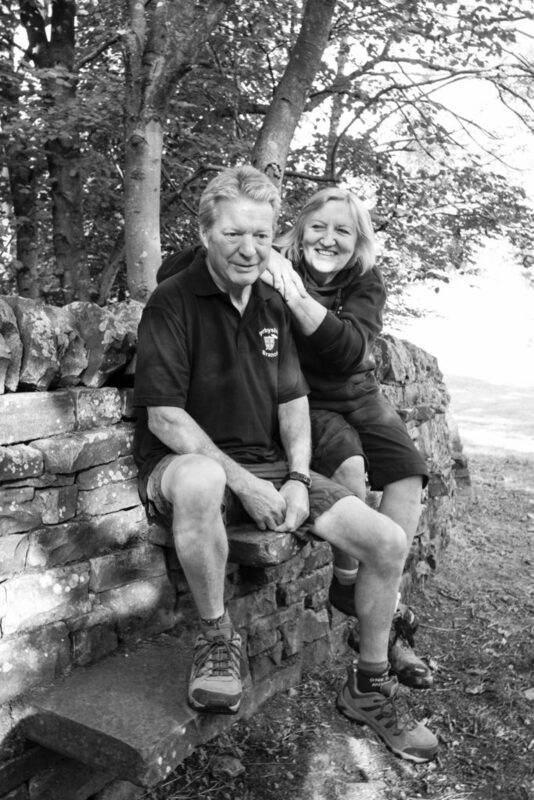 Alongside the documentary will be a table top book filled with photographs of dry stone walls around Derbyshire along with portraits of dry stone wallers themselves. It will be a great privilege and honour to have financial support and sponsorship to finish this project and in return, sponsors will be fully be acknowledged in the end film’s credits, on the DVD cover, published table top book and will also have use of the documentary for promotional and educational purposes. I’ve set up an Indiegogo campaign to hopefully fund the financing of the premiere event, if you can help in anyway please visit the link below, or please share the link below. In return, your company will be fully acknowledged in the end credits of the film, promotional posters and media, printed DVD cover and accompanying table top photographic book (which will be published later in the year.) You will also have use of the documentary for any desired purposes as required by your good selves, as long as it’s not edited. I am aiming to raise £2,000 which will fund a venue, catering and to live stream the premier showing of the documentary. With your support, I believe the documentary will reach more audience, touch lives, encourage people to appreciate the overlooked beauty and art of drystone walling and promote the everlasting beautiful Derbyshire landscape.